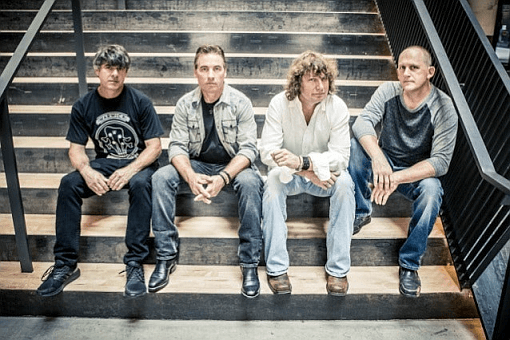 TORA TORA is a blues-based hard rock band formed in Memphis, TN in the late 1980s. Band members include Keith Douglas, Patrick Francis, John Patterson and Anthony Corder. TORA has two major releases Surprise Attack/Wild America through A&M Records that promoted five singles and videos (Walkin’ Shoes, Guilty, Phantom Rider, Amnesia and Faith Healer). The band has six independent releases, The Warehouse Sessions, Bombs Away, Miss B. Haven, Before and After, Revolution Day, and most recently a live performance concert Live from Minglewood, in Memphis #ROCKOUTCANCER. Live appearances have been at festivals Rocklahoma, Farm Rock, Rock & Skull and Monster of Rock Cruise. 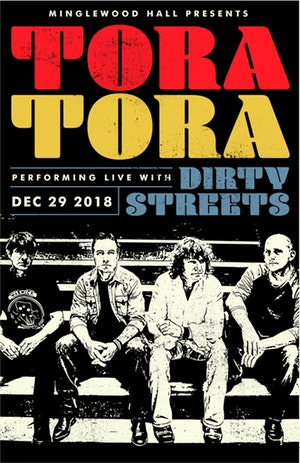 TORA is known for Zeppelin-influenced vocals and classic rock inspired, high energy musicianship. Tora Tora signed with Frontiers Music SRL in 2017 and is currently in legendary Sam Phillips Recording Studio in Memphis, TN with Producer/Engineer Jeff Powell who was assistant engineer on Wild America. Look for a new full-length album in early 2019! Please visit toratoramusic.com to stay updated on the band who taught you how TO ROCK TO ROLL!